Karen lives in Madison, Alabama with her husband and three children. Karen graduated in 1996 from Ouachita Baptist University in Arkadelphia, AR. 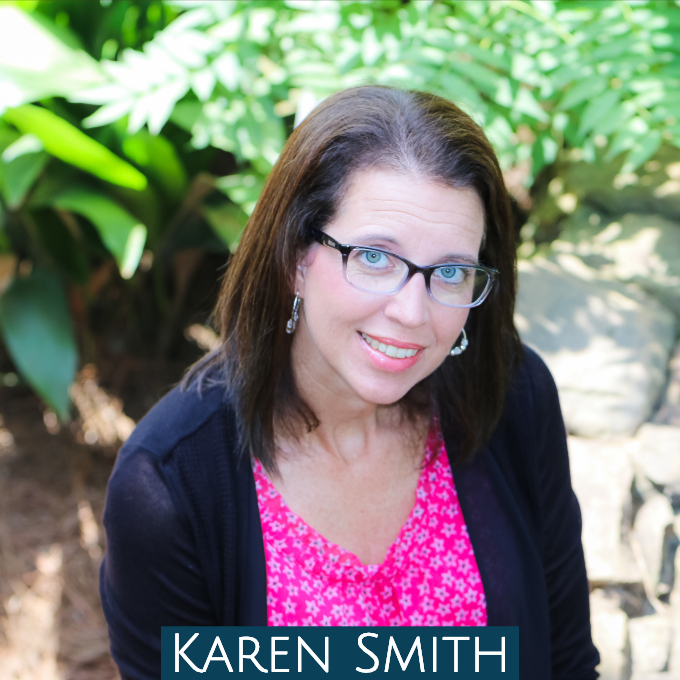 Karen has served as Preschool and Children’s Pastor and has been involved in women’s ministry for many years leading small groups, making hospital visits, organizing retreats, and encouraging the hearts of women. Karen now blogs at Glimpses of Faith and Struggles. What started out communicating medical facts, has become a place where Karen uses life experiences to encourage others in their life journey. When she’s not busy caring for her family or writing, you might find her cooking or crafting. You can find Karen online at Facebook, Twitter, Instagram, and A Wife Like Me, a website dedicated for encouraging wives in their marriages.